More and more business owners and online marketers are coming to discover the tremendous importance of Click-Through-Rate (CTR) for their business’ success online. Click-Through-Rate represents a measure of the total number of clicks people who advertise on the Internet receive from the total number of ad views. If an ad has a high number of visualisations but no clicks whatsoever, the CTR is very low. On the opposite, if most of the Internet users who visualised the ad clicked it, you will have a high CTR. The truth is that every single business owner wants more clicks; this is why the CTR rate is probably one of the most important factors of a good PPC (Pay-Per-Click) campaign. In order to maximise your revenue, you need to know how to easily leverage the power of CTR. Remember that a higher CTR translates into a higher value of your website and an increased number of direct visitors. Also, in most cases, as higher the CTR is, the more chances a business will have to convert its potential customers into real customers and then into loyal customers. Overall, a 2% CTR is considered quite successful. Achieving a high CTR is essential for your business. However, before diving into the subject, it is important to see when a high CTR could actually hurt your business. 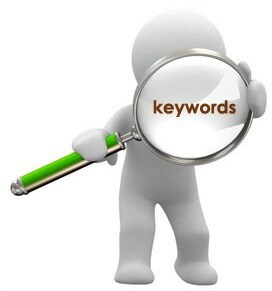 – Irrelevant keywords: if a certain keyword or key phrase is not pertinent to your business, the CTR doesn’t matter anymore, because most of the customers who enter your website leave right away, because they are probably looking for something else. In saying this, each market is completely different and it ultimately depends on what kind of profit you’re getting. As long as you’re making more than you’re spending, then this factors out. As a conclusion, you won’t need necessarily a high CTR. Instead, you might want a good CTR only on relevant and affordable keywords that will bring you a profit in the end. It is way more important to recoup your investment than to have a high CTR. First and foremost, you should do some tests before placing the final ads. Experiment on several platforms, including newsletters, website and social networks ads. This shows you what is already working before placing it in a live PPC environment. If you have the budget however, doing these tests simply through the PPC platform will suffice. Another key factor in leveraging CTR for your business is creating several ad-groups. This will allow you to target multiple markets and groups of customers without stuffing the same keywords over and over again. Start with 10-15 keywords per ad group and try to see if there is room for additional market segmentation. By splitting your keyword clusters by topics, products or locations, you will be able to offer a more personalised experience; the outcome is a better engagement with the final customer and an increased conversion rate. If you notice you get top-quality traffic from a certain niche, don’t hesitate to increase your bids, even if you pay more. Increased bids mean higher positions on paid search engine results and more traffic. Use capitals for each word, write an ad format in a way where it’s raised as a question. Basically test out different headings and titles and then see which ones are performing the best and remove the ones that are not. Normally to gather these kind of statistics will take a few weeks to a few months, it it pretty much all dependent on your budget. Lastly and most important, in order to boost your CTR, you should use only important content. Instead of placing excessive social media buttons inside the ad, lots or category lists or several “similar posts” boxes, go with a simple title, a short description, two lines of content, one or two pictures and a few links to your website, Google+, and Facebook account. Using a different picture for one or more of your ad copies can increase CTR as high as 1-10% depending on how appealing and engaging the image is to the user. Try using image ads and try different images to see which ones have the best click-through-rate. Boosting your overall click through rate can be a daunting task, however with the right testing and the right advice you will be able to hit the nail on the head with the right campaign. Big Vision SEO provides Pay-per-click services and advice for improving your ROI with PPC by increasing your overall conversion rate through the use of increasing your CTR. If you’re interested in seeing what we provide, please contact us.